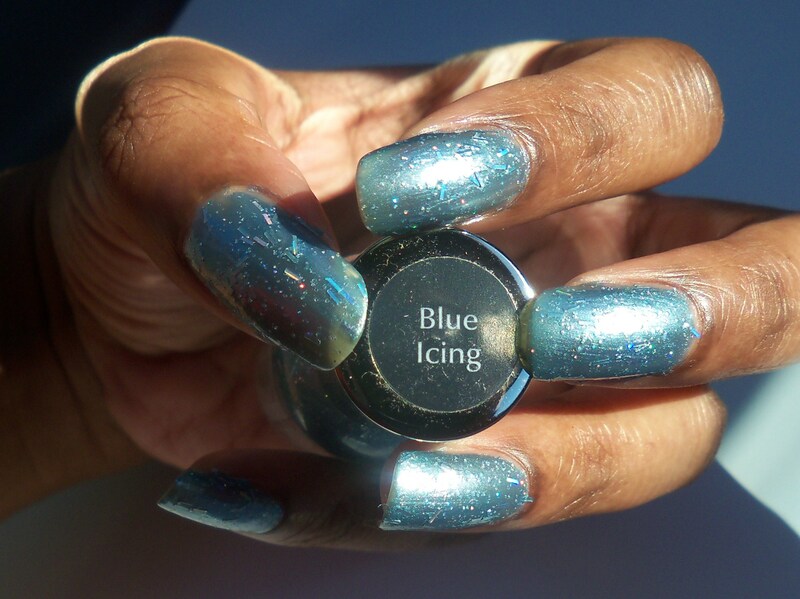 The first poppin’ nail color of the new year is Sally Hansen’s Xtreme Wear Blue Icing. It’s actually an old seasonal nail polish that I purchased last winter that I rediscovered a few weeks ago. 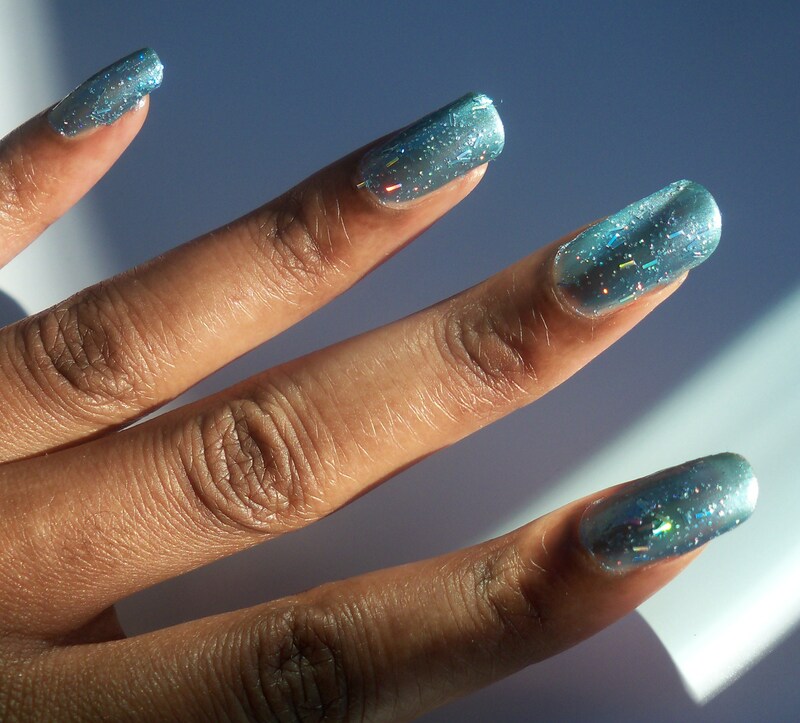 I love this color cause it is the perfect pale winter blue, with miniscule splashes of glittery dots, and larger rectangular glitter sprinkled throughout. The tiny sparkly bits don’t stand out as the longer, rectangular ones do but that’s ok with me. 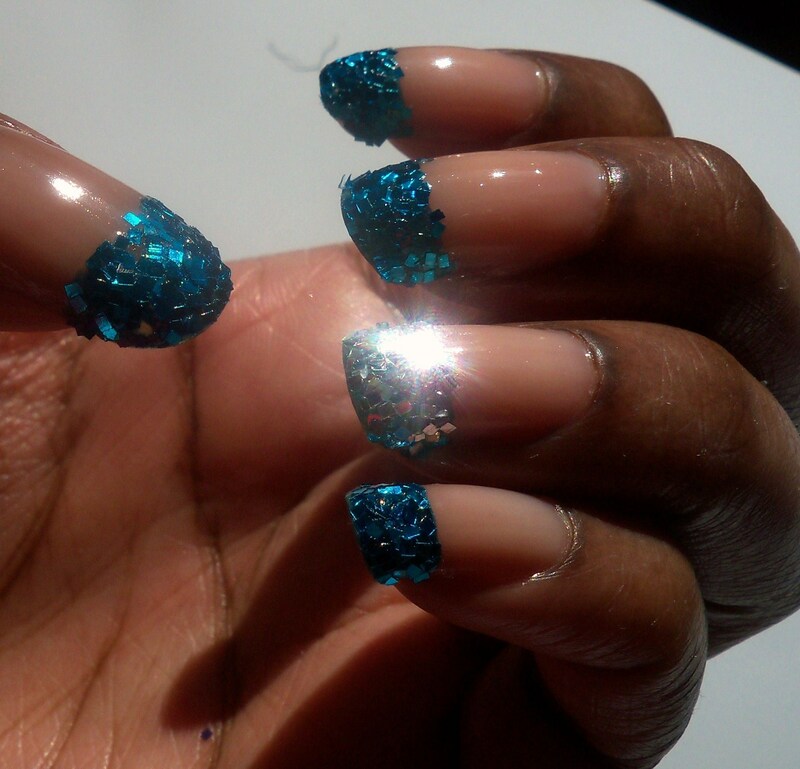 The polish itself looks like a metallic powder blue that shines without a topcoat. It’s definitely different from the typical darker mahogany’s and plum’s used during the winter months. 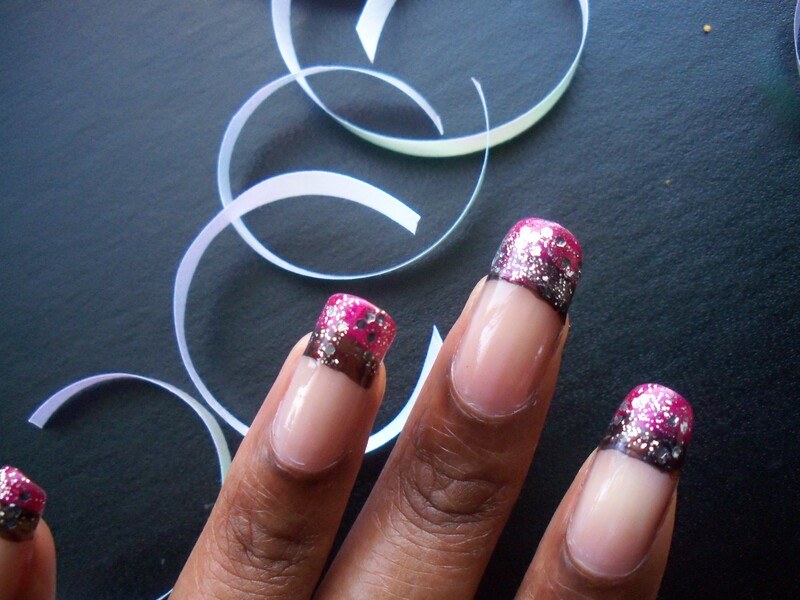 Although I love those types of polishes, it can get kind of boring after a while. This has a little bam-in-your face without being overkill, and I loves it.